Eco models ask a lot and don’t give much in return. For anything other than long highway drivers, Elantra models will return respectable fuel mileage. The 2018 Hyundai Elantra adds a versatile hatchback to the fold and makes a more compelling case as a compact contender in a value-packed segment. The 2018 Hyundai Elantra is all elbows, as far as we’re concerned. Only a few years ago it was lost in the compact car melange, a medley of middling econobox mishaps. Now, the Elantra is a fully fledged competitor with a recent history of delivering sharp style, a spacious cabin, and strong features at a reasonable price. The 2018 Hyundai Elantra GT joins the lineup as a hatchback model but its name is somewhat deceiving—it's not directly related to the Elantra sedan. That’s because the Elantra GT has a full passport. The hatchback is built in South Korea with Europe in mind—it’s the Hyundai i30 with a new name for the States. 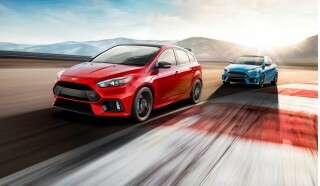 In many ways, the hatchback is superior to the sedan not only in interior space and finish but also in suspension setup. The hatchback is predictably bigger, and more versatile, but we’re not in love with its ergonomics. Instead, we appreciate its premium suspension setup that only shows its budget roots when the road turns terrible. The Elantra GT’s steering is light, but precise, and the hatchback feels planted—albeit a little heavy—in cornering. These are mostly good things, and the comparison to a Volkswagen GTI is a fair one to make. If you’re not swayed by the hatchback argument (you’d be in the majority, too) the sedan is competent all the same. Although its base engine isn’t as powerful, the Elantra Sport can be a fun, tossable compact that we wouldn’t fault any shopper for considering. This year, Hyundai mildly shuffled some options and packages on the Elantra after a complete overhaul for the 2017 model year. In the same way the Elantra jostled for position in 2011, we can see the same game afoot in 2018 when it comes to challenging staid European competitors. The Elantra is handsome, but not as adventurous as it once was. The 2018 Hyundai Elantra isn’t as bold as its predecessors, but it doesn’t really need to be. Hyundai isn’t fighting for attention like it once was, and the new Elantra GT reflects that attitude. Starting with the more popular sedan, it carves a cleaner hole in the air. The grille is lower and wider than older cars, which helps the Elantra announce itself on the road. The sedan has deeper lines across the doors, but it melds with the fenders and roofline in a better way than it has in previous years. By comparison, the Elantra GT swaps out the large trapezoidal grille with a pinched version and a mesh insert. The headlights are more hawkish, with a different lamp assembly than the sedan. The hatchback doesn’t get the same LED daytime running light treatment that the sedan gets, and we wish it did. 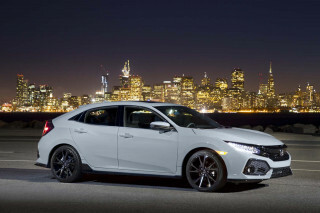 Around back, the sedan uses a trio of taillights and an upturned decklid to finish off its shape, while the hatchback blurs its lines with a rounder affair for the rear. Like Guns ‘N Roses, we’re not sure the double album doesn’t have a better single effort in the middle somewhere, but we’ll take what we get between the Elantra and Elantra GT. Inside, the sedan’s moves are what we like a little more. The Elantra cribs the Sonata’s linear shape, with a hint of preference toward the driver by canting most of the controls and touchscreen toward the first seat. 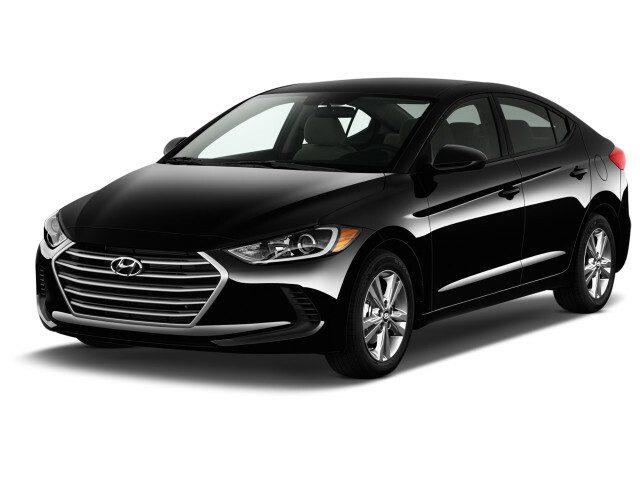 A healthy dose of black plastic belies the Elantra’s sharp exterior and is an unwelcome step away from the last Elantra’s less-than-economical look. The Elantra GT feels rushed with its hastily placed touchscreen that rises from the center vents. The center cluster doesn’t feel as considered either, likely due to the Elantra GT’s international life as a multi-market hatchback sold around the world. The 2018 Hyundai Elantra has athletic intentions—they just fall closer to marathoner than sprinter. Although Hyundai offers the 2018 Elantra and Elantra GT with sportier siblings, its performance is firmly in the middle of the competition. The Elantra sedan offers three engine choices, while the Elantra GT stands pat at two. 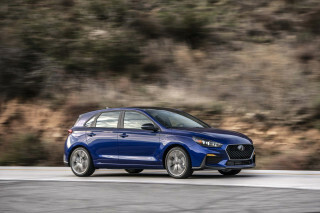 The base version is a 2.0-liter inline-4 that makes 147 horsepower (162 hp in the Elantra GT) and 137 pound-feet of torque (150 lb-ft in the Elantra GT). A 6-speed manual transmission is standard equipment in both models, but will probably be a rare sight on lots. A 6-speed automatic is more likely and its predisposed to conserve fuel. Tipping the gear selector over lets drivers select their own cog and bring to life the engine. 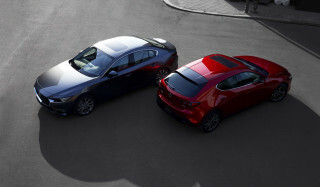 The sedan and hatchback also share a 1.6-liter turbo-4 in Sport trims that adds plenty of pep. The busy turbo-4 improves power by more than 25 percent, all the way up to 201 hp and 195 lb-ft, which can be shuffled through a smooth shifting 7-speed dual-clutch automatic or—our pick—a 6-speed manual. Power comes on strong low in the rev range, and pushes all the way to 4,000 rpm. We say the Sport models should click off a run up to 60 mph in 7.5 seconds, but our testing has been largely informal so far. The Elantra Eco (sedan only) uses a 1.4-liter turbo-4 and 7-speed dual-clutch automatic to maximize every drop of dino juice. It’s not as thrilling to drive as either model, and we’ve found that the wide gaps between the first three gears exacerbate the model’s shortage of power. The Elantra uses two types of suspension setups, depending on model, and we’re fans of both. Anything without a “Sport” badge uses a common MacPherson front, torsion beam rear end setup that tasks the excellent body to smother bumpy roads. Even with the Limited’s 17-inch tires, the Elantra acquits itself well on most roads with a composed, quiet ride. Sport models use an independent rear suspension to plant those models on the road and control body motions. The Elantra Sport (particularly the GT) doesn’t fool us into believing it’s a lightweight runner, but it does well with curvy roads and won’t punish us for taking the scenic route—we appreciate both qualities. We weren’t as confident with the brakes when we drove the Elantra Sport (sedan). Our testers reported a wooden pedal and noticeable fade when we pressed hard on the stoppers. Sneaky big and sneaky quiet, the 2018 Hyundai Elantra’s secret is its relative comfort. While the 2018 Hyundai Elantra may be considered as a small car, the tale of the tape plants it in the “mid-size” weight class on interior dimensions. The sedan rides on a similarly sized wheelbase as before, but slightly longer overall. Just like the last version, the sedan is more pleasant for driver and front-seat passenger, with more comfortable seats and more comfortable bolsters on the bottom seat cushion. Sport models get deeper buckets with grippier cloth, or optional leather. Front passengers get a wealth of storage opportunities with numerous cubbies and cupholders and a deep, covered bin ahead of the shift lever. Rear-seat riders don’t get the same comfortable cushions, but plenty of head and knee room. The sedan’s rear seats ride lower than before, but the tradeoff is worth it: 6-footers will have plenty of head room. The sedan boasts a 14.4 cubic feet of cargo room, on par with its class. A split-folding rear seat adds to the available room, and an optional gesture-controlled automatic opening trunk made our lives easier with full hands. Elantra GT models get roughly the same experience, albeit on a slightly shorter wheelbase. The hatchback cuts 2 inches off between the wheels, compared to the sedan, with an inch less leg room for rear-seat passengers. 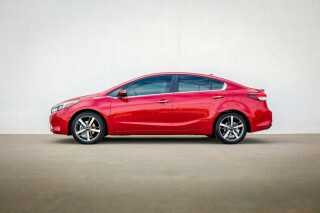 The hatchback opens to reveal 24.9 cubic feet of cargo space, made larger by folding down the back seats to 55.4 cubes. Note: Not all Elantra models are equally quiet. Spending more gets more sound-deadening material, and top-trim Elantra Limited sedans are quietest of all. Elantra GT models have a better fit and finish than sedan models. The 2018 Elantra performs well in IIHS testing, but the feds came up with different results. The Hyundai Elantra is torn. Official data on the sedan is mixed, and incomplete on the hatchback. 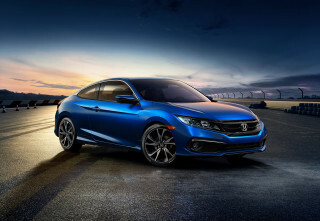 The IIHS calls the sedan a Top Safety Pick+ thanks to good scores on its crash tests, excellent advanced safety systems, and available headlights. Federal regulators have different ideas. 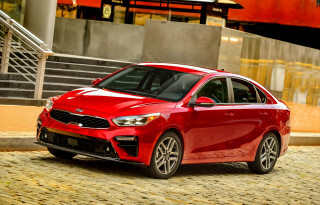 The sedan is earned a relatively rare four-star overall score and a rare note on the side-impact passenger side crash test that the impact touched the rear dummy. The new Elantra GT was rated identically. A note about that Top Safety Pick award: it only applies to top Limited trims with advanced safety options included in the pricey Ultimate Package. The optional suite includes blind-spot monitors, active lane control, forward collision warning with automatic emergency braking, and adaptive cruise control. 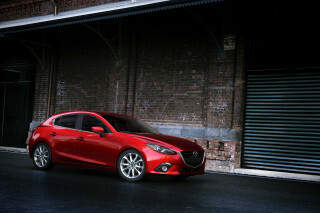 Other automakers such as Mazda and Toyota are making some of those features standard on their compact sedan range. To get the headlights that the IIHS rated “Good” also requires an optional extra, only on the Limited trim as well. All other trims get standard halogen projectors that have been rated “Poor” by the IIHS. All Elantra sedans come with stability control, a driver knee airbag, and a driver-side blind-spot mirror. Start with SEL models and go from there. The 2018 Hyundai Elantra stays reasonable at any level, but there’s more value lower in the range. The 2018 Hyundai Elantra starts at a modest $17,835 with reasonable equipment for that price. The sedan is equipped with 15-inch wheels, a six-speaker audio system, manual transmission, cloth upholstery, 3.5-inch LCD screen, and a handshake. That’s admirable for the price, but not great. Most buyers will start with the Elantra SEL that swaps in a 7.0-inch touchscreen with Android Auto and Apple CarPlay, 16-inch wheels, cruise control, Bluetooth—you know, 2017 features. It starts at $1,900 more than the manual-equipped base model and includes an automatic transmission. For 2018, Hyundai coalesced its Popular trim package on SE models into a new trim level, called SEL. 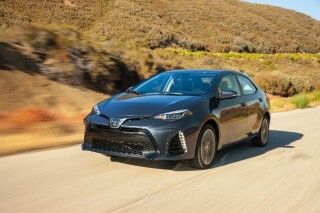 It’s still a good value in the segment, but competitors such as Honda and Toyota are catching up. A Value Edition trim level adds creature comforts from top-of-the-line Limiteds such as a sunroof, heated seats, leather-wrapped steering wheel and shift knob, and dual-zone climate control but stops short of leather upholstery. The Limited trimmed Elantras offer lashings of chrome inside and out, leather seats, telematics, 17-inch wheels, two USB charging ports, keyless ignition, and uprated headlights. Limited models offer an uprated 8.0-inch infotainment screen with navigation. Sport models are trimmed similarly to Limited versions, but offer a more potent engine and the same optional features as Limited models. Elantra Eco models are closer to SEL models, but sub in smaller 15-inch wheels for better fuel economy. Elantra GT models start closer to SEL models, but Hyundai hasn’t yet outlined prices for those versions yet. Stay tuned. It’s possible to get better fuel economy than the 2018 Hyundai Elantra, but those options are few. The 2018 Hyundai Elantra is relatively fuel efficient but won’t keep pace with class leaders. Elantra SE models don’t have as many features and are rated separately at 29/38/33 mpg. Elantra Eco models manage slightly better fuel economy, but require a tempered right foot to keep the 1.4-liter off boost, and earn a 32/40/35 mpg rating by the EPA. Elantra Sport sedans fall hard from the perch and are rated at 22/30/25 mpg. Automatic-equipped hatchbacks are rated at 24/32/27 mpg, while manual-equipped sport hatchbacks are 22/29/25 mpg, according to the EPA. Comparatively, only one Elantra reaches 35 mpg combined, while nearly the entire Honda Civic range is rated there, or higher. While most reviews have to rely on comparing cars based on class of vehicle and MSRP the Elantra cannot be completely compared in this manner. Almost every comparison is going to be of a competitor that costs... While most reviews have to rely on comparing cars based on class of vehicle and MSRP the Elantra cannot be completely compared in this manner. Almost every comparison is going to be of a competitor that costs thousands more with similar trim levels and features. That said I think the Elantra, specifically in Value Edition, is an all out bargain of a vehicle. We paid nowhere near MSRP and in fact at the discount these are being offered you have to move down to another class of car altogether (Accent, Yaris etc..) and then its not even a competition. We started shopping used cars as well in its price range and after test driving several 3 or more year old vehicles with zero warranty and 50 - 80K miles on them it was a no-brainer to step into a completely new vehicle for the same price. Most of the used cars at its purchase price were old enough that the feature list was way out of date and just sparse.